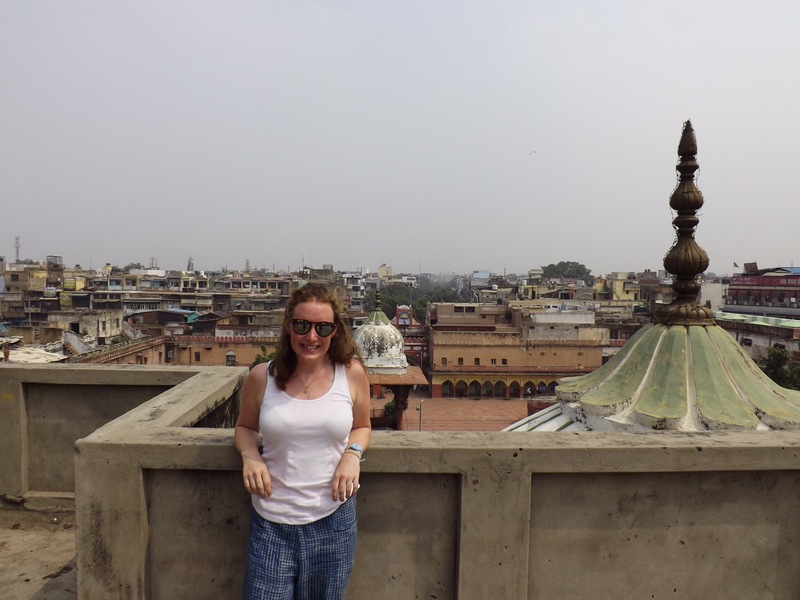 It seems like a long time ago now that Disco and I were in India but I did not get round to writing about wonderful Delhi because of weak wifi connections. 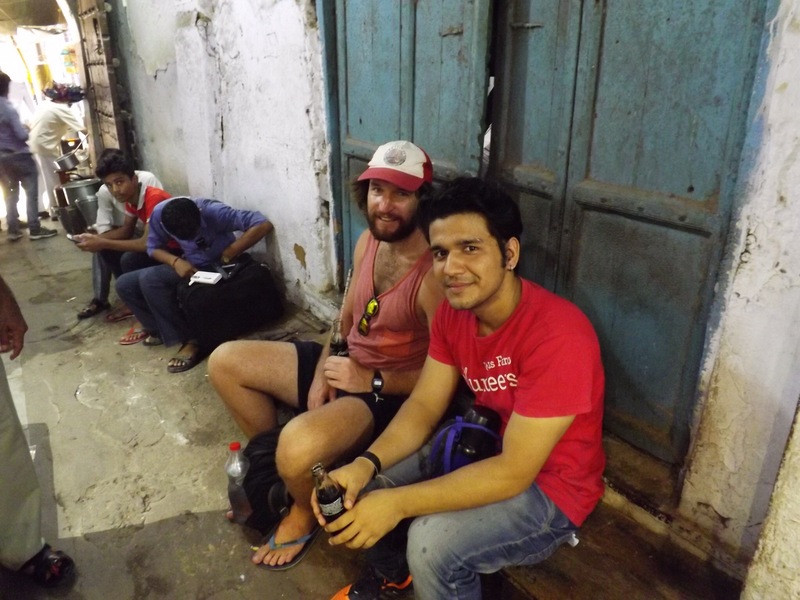 Armed with Sapna’s very well curated map we headed out to explore the sights and sounds of Delhi. 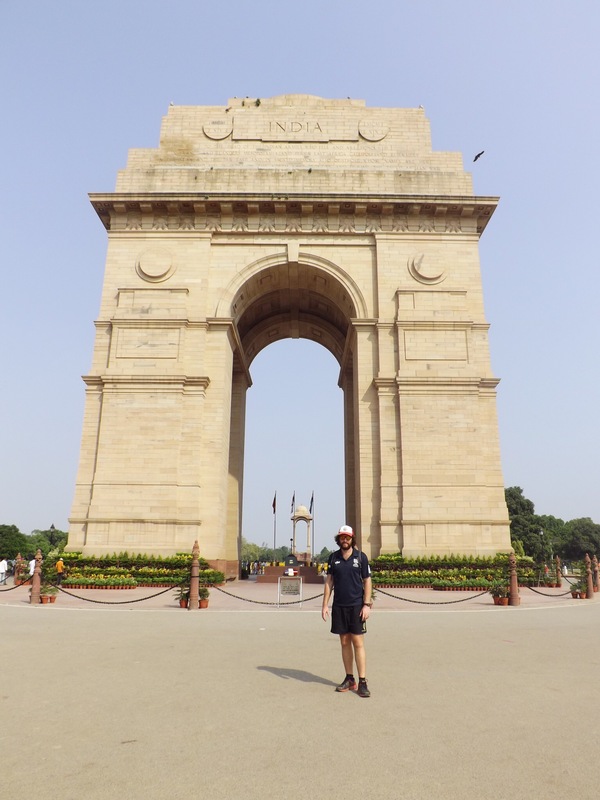 We visited the impressive India gate, which was really nicely preserved and, unlike its Mumbai cousin, less hectic. 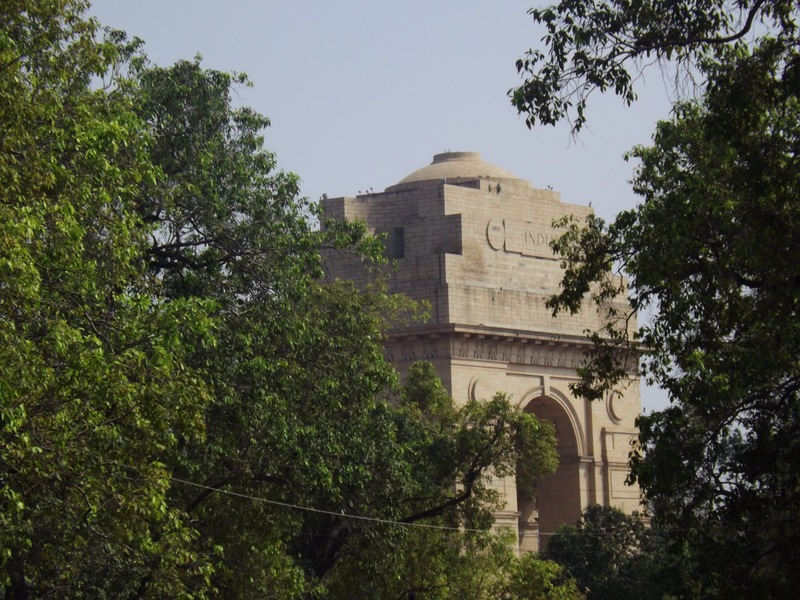 From there we walks up the Rajpath towards the Parliament House of India. The Sansad Bhavan is huge covering 6 hectares, we only caught a small glimpse of it. This nice man from our hostel took us on a tour of the old markets, this was a great experience and one for all the senses. I’m a sneezy person anyway but upon approaching the spice market things went into overdrive, sadly I was not armed with many tissues. 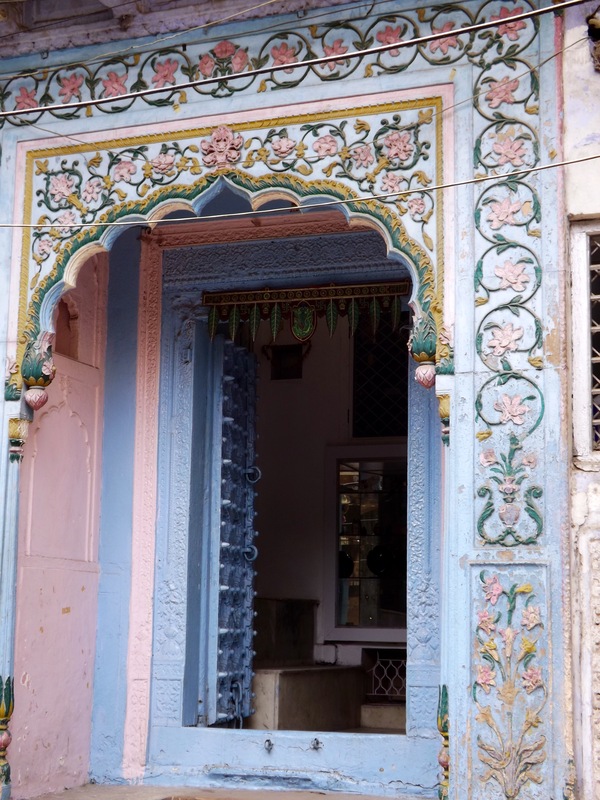 The above photo is of the ‘decorations’ market and the guide was explaining that this is where brides come to buy all the doings for their wedding, alas still no invite for a wedding despite hanging around here! 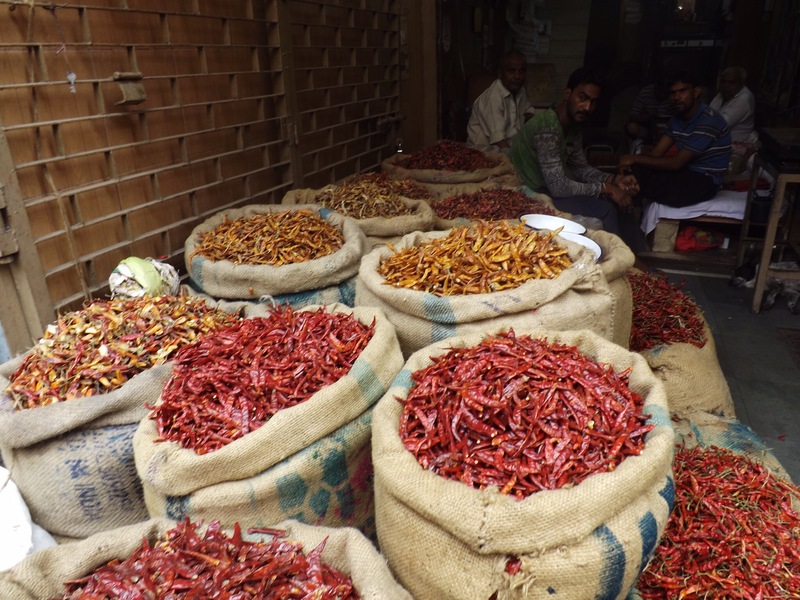 The sheer number of spices on offer was amazing and even chiles come in every shape, size and colour. 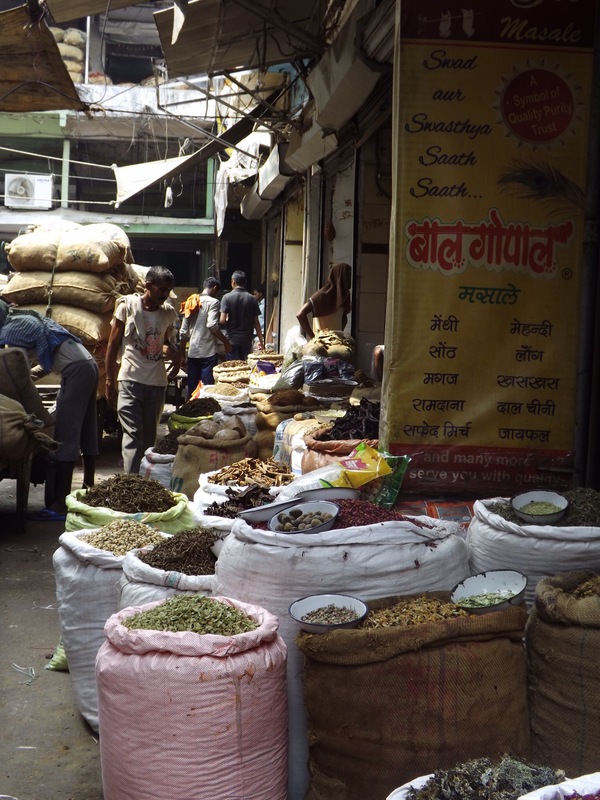 It’s the biggest spice market in Asia. These are petals and we were able to watch men bidding for the flowers. These are special because they are ‘untouched’ and had not been in contact with humans, this confused us because who picks the flowers? This was down an alley way that is only for pedestrians, it provided a moment of light relief from all the car horns and market traders. 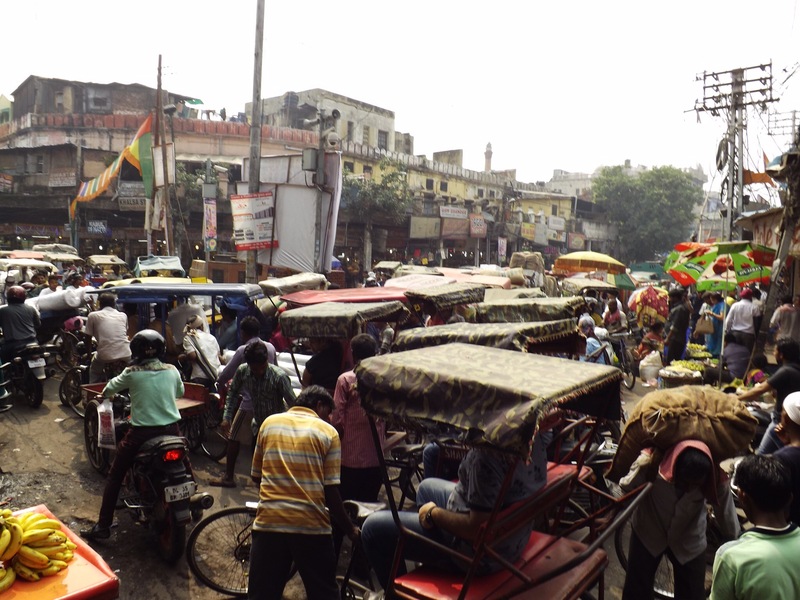 We walked down Chandni Chowk, or attempted to- the traffic was mental, and dipped in and out of the labyrinth of alley ways. It was constructed by the Mughal emperor Shah Jahan and designed by his daughter Jahanara. 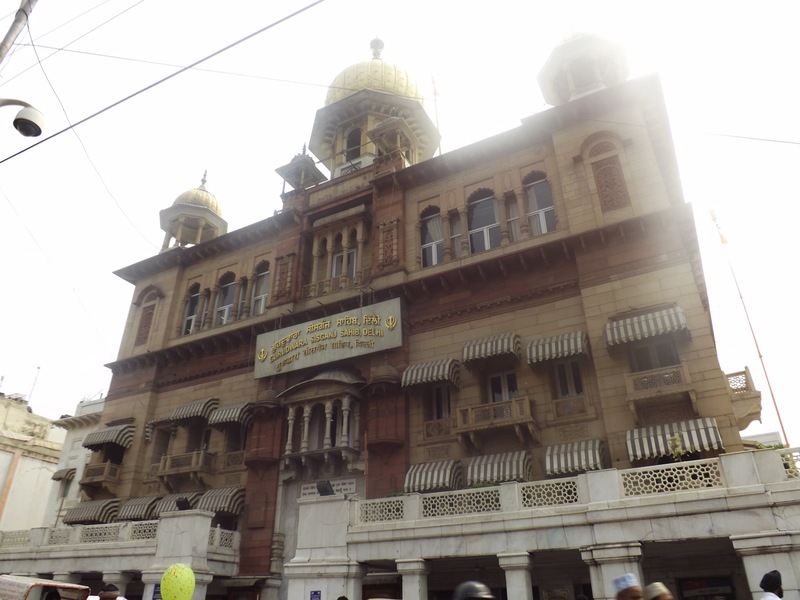 It is a famous religious hub and features a Gurdwara, Baptist Church and Jain Temple on the same road. I’m standing above a mosque in the photo above, they are all close to the empereor’s home because he wanted to be able to see the religious buildings from his window to keep an eye on them. 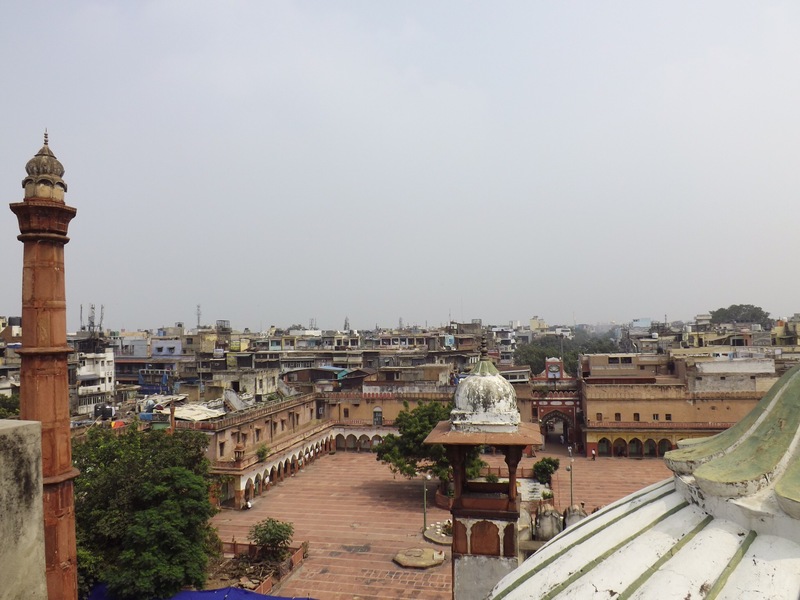 The guide described Chandni Chowk as a living museum and that really resonated. 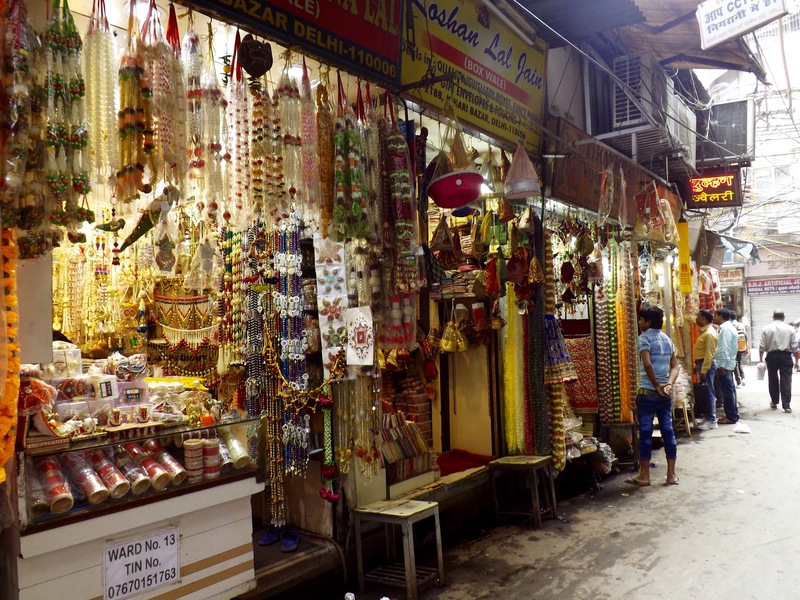 The place is hectic and to this day a commercial hub for many people living in Delhi. 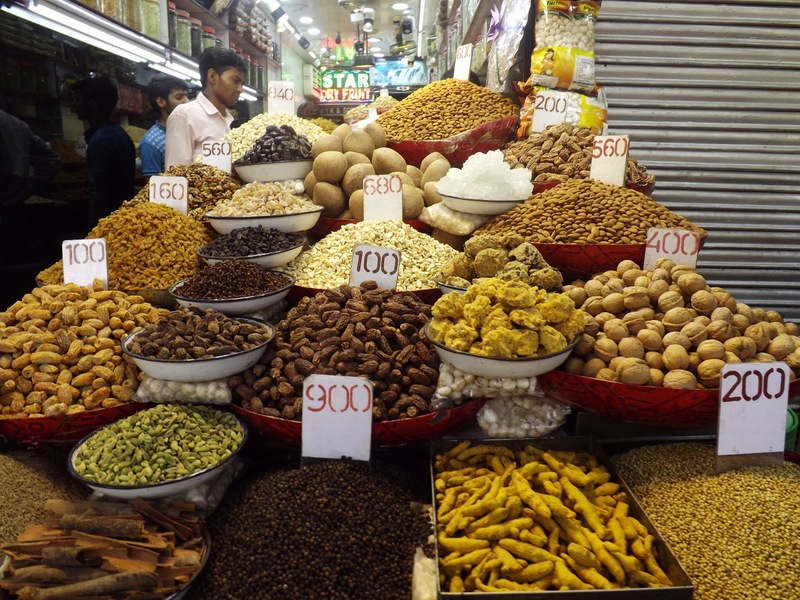 You would be inspired to cook with all those amazing spices. 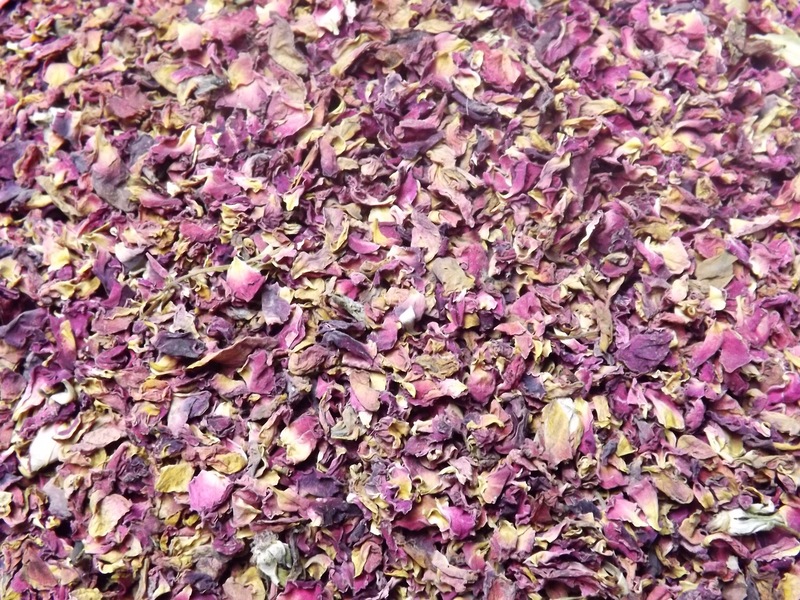 Maybe they have monkeys to pick the petals? Great trousers Luce. 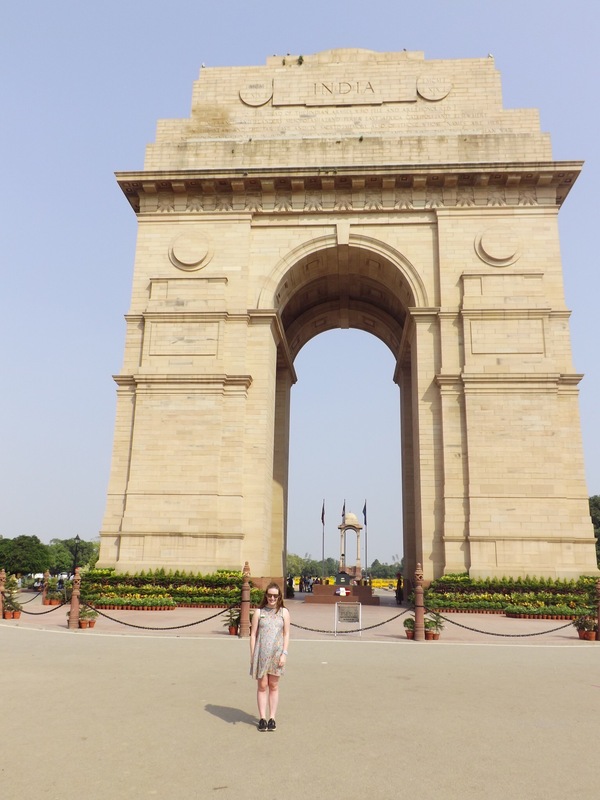 Glad you enjoyed Delhi.